Arrive at Delhi airport the bustling capital of India. Delhi was the capital of Indraprastha and capital of the Pandavas during the Mahabharata. This magnificent city has been inhabited from the 6th century BC and has been a capital of many kingdoms. It has been destroyed and rebuilt many times and is called the "city of cities". Delhi's culture has been influenced by its different rulers and the city is full of beautiful monuments. The Mughal rulers influenced the food habits of the residents and Mughlai cuisine originated here. 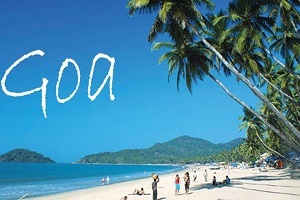 Due to the proximity of different states, all festivals are celebrated here. Old Delhi is a maze of small lanes and old buildings and New Delhi has large road with huge buildings. Delhi is the capital of India and is the hub for politics. On arrival pick-up from airport and transfer to hotel. Today your tour starts with Old Delhi, built by the Mughal emperor Shah Jahan in 1639 AD. You will visit the Raj Ghat where father of our nation Mahatma Gandhi was cremated. You will be visiting the museum that was built to commemorate him. You will be driven past the iconic Red Fort and Chandni Chowk, a very popular and a busy market in Old Delhi to the next stop - Jama Masjid, one of the iconic, historic and largest mosques in India - built by Shah Jahan. A rickshaw ride in Chandni Chowk could be quite interesting as this part of the city is quite crowded as it is full of shops. These numerous shops sell delicious mouth-watering food, clothes, jewels, household things, etc. and are virtually a shopper's paradise. In the afternoon, you will visit Qutub Minar, touted as India’s largest Minaret. Qutub Minar, a UNESCO World Heritage Site, was built in 1192 by Turk ruler Qutub-Ud-Din Aibak. You will then move forward to Humayun’s tomb, yet another UNESCO world heritage site. 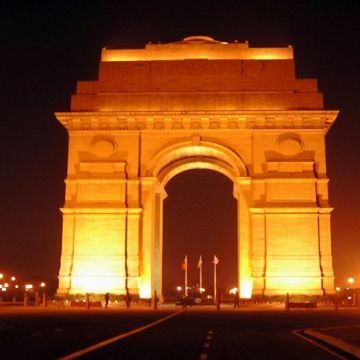 Your next stop is India Gate, built in memory of the Unknown Soldier. You will be driven past the Parliament House, President’s House and other Government Secretarial Buildings, to your final destination which will be Lakshminarayan Temple, a temple dedicated to Lakshmi and Lord Narayana.. Overnight stay at hotel. After breakfast drive to Jaipur ( 280 Km/ 5 Hrs). On arrival check-in at hotel. Jaipur - the capital of Rajasthan was given a colour coat of pink a century ago in honour of a visiting Prince and ever since, it has retained this colour. Built by Maharaja Jai Singh, the notable astronomer, this city is 260 years old. In the Evening visit Birla Mandir & Albert Hall. Overnight stay at hotel. After breakfast proceed to cover city attraction covering Amber Fort .The earlier capital of Jaipur. This magnificent fort was constructed in red sand-stone and marble by Raja Man Singh and is divided into four sections each with a courtyard. The main entrance gate is Surajpol having a fascinating architecture. 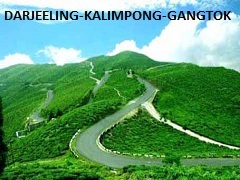 Near the Ganesh Gate, there is a temple dedicated to the Goddess Sila Devi. The Diwan-e-Aam - Hall of public audience, Diwan-e-Khas - hall of private audience, Sheesh Mahal - palace of mirrors and Sukh Niwas are quite beautiful. At the he Sukh Niwas, a pleasant climate is created by winds that blow over a water cascade. You could ascend the fort by walking up the steps or on an elephant's back or in jeeps. In Jaipur you will also visit Maharaja City Palace, a royal palace with seven storey as well as Jantar Mantar, the observatory. This wonderful observatory attracts mathematicians as well as astronomers from the whole world. 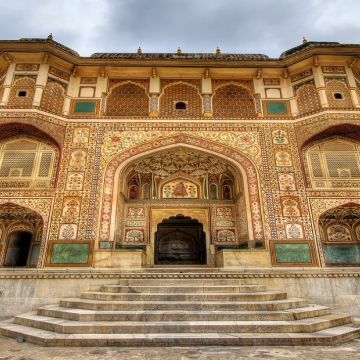 City palace is perfect blend of all three excellent styles (Mughal, Rajput and European). 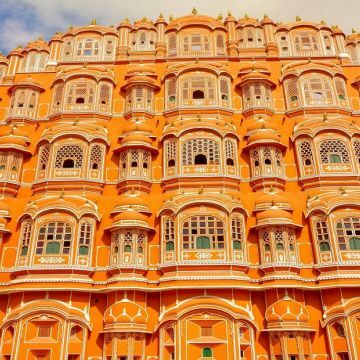 Another palace, Hawa Mahal is popular all over world for it magnificent architecture. You will be taken through pink rose garden as well business centers of Jaipur. Overnight stay at hotel. After breakfast drive to Agra ( 240 Km / 4 Hrs ). 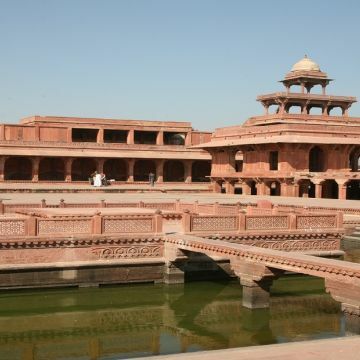 En-route visits Fatehpur – Sikri, built in the 16th century by Emperor Akbar. Fatehpur Sikri holds exceptional testimony to Mughal civilization and is one of the well-known UNESCO World heritage site of India and has various historical monuments. 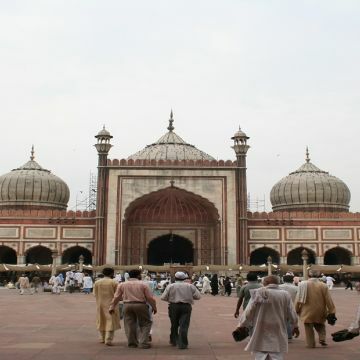 You will visit the Jama Masjid, followed by the Tomb of Salim Chishti, the five storied Panch Mahal and Buland Darwaza a graceful monument and stupendous piece of beautiful architecture. It is central portico with a total of three arched entrances and is locally known as Horseshoe gate. You will visit the other graceful buildings of this place such as Ibadat Khana, Mariam-uz-Zamani’s palace, Naubat Khana and Birbal’s house. Arrive Agra check-in at hotel for overnight stay. Agra the former capital of Hindustan is a city on the banks of the river Yamuna. Agra is a major tourist destination of India and a part of the Golden Triangle tourist circuit along with Delhi and Jaipur. Agra also known as Akbarabad went through its peak during the time of Mughals and was the capital of under the Mughal rulers Akbar, Jahangir and Shahjehan. Enjoy Sunrise at TAJ MAHAL. Little needs to be said about this architectural wonder which is always the soul raison-de-etre for every tourist's visit to Agra. Taj Mahal is one of the wonders of the world. This beautiful building is elegantly built with white marble by the Mughal Emperor Shah Jahan between the years 1631 to 1648 and it was built in the memory of his favorite beloved Queen Mumtaz Mahal. Standing majestically on banks of Yamuna River, this breathtaking, immensely beautiful monument is synonymous to romance and love. Your next stop Agra Fort is a UNESCO World Heritage Site and known for its architectural structure and was built in the 16th century during the Mughal Empire. This place comprises of several fairy-tale palaces like Khas Mahal and Jahangir Palace. Over here you will also get a chance to see Diwan-e-Aam and Diwan-e-Khas, which are also known as private audience hall and public audience hall. Afternoon can be spent visiting more places of interest or shopping. 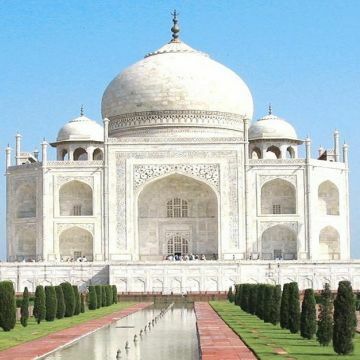 Agra is famous for inlaid marble work and handicrafts made of marble, wood and metal. Later transfer to New Delhi. ( 210 Km./3 Hrs). After breakfast day is free for leisure of shopping . In the evening transfer to New Delhi airport for your for your onwards flight.